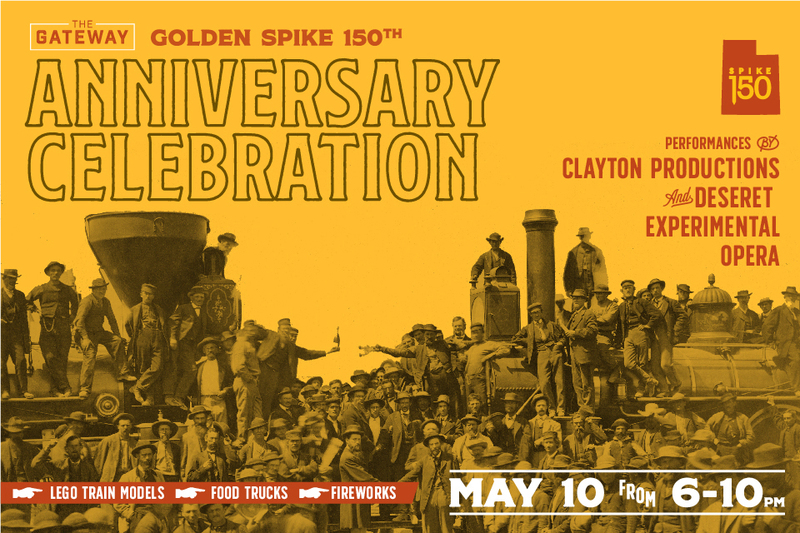 Celebrating the 150th Anniversary of the Golden Spike that united a nation at The Gateway Plaza next to the historic Grand Hall and former Union Pacific Building. Join us for stage performances from Clayton Productions, food trucks, Ride on Train, Lego train display, fireworks and more! The event is free and open to the public. Performances by Clayton Productions, under the direction of D Kim Clayton is the leading Performing Arts Studio in the state of Utah. Students ranging from grades preschool to college sing and dance to upbeat medleys from Disney to Broadway to Country and more! The energy and expertise of these students have thrilled audiences throughout the world. This year’s tours are NYC, Seattle, and San Francisco. This is a show you won’t want to miss!